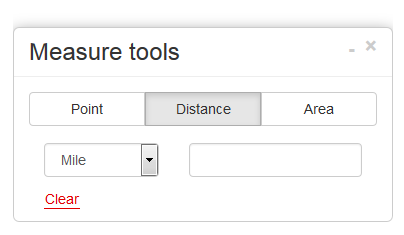 Measuring tools allow you to get point coordinates (latitude and longitude), measure distance between points or length of line feature in the various measure units or measure and recalculate area of the polygons. You can set your local projection to perform higher precision. 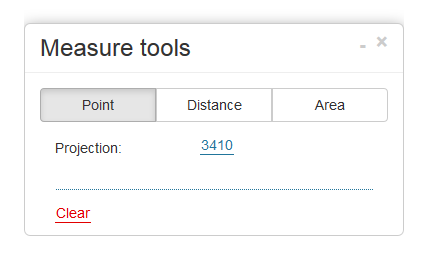 Select Measure tools from the Toolbar. You can change latitude/longitude format by changing a projection. Click on the point on the Map View and get coordinates. It is possible to change measuring units by clicking on the dropdown menu. 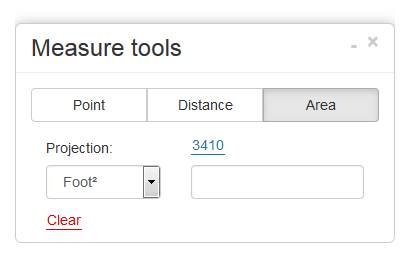 Click on the drop down menu to change measure units. 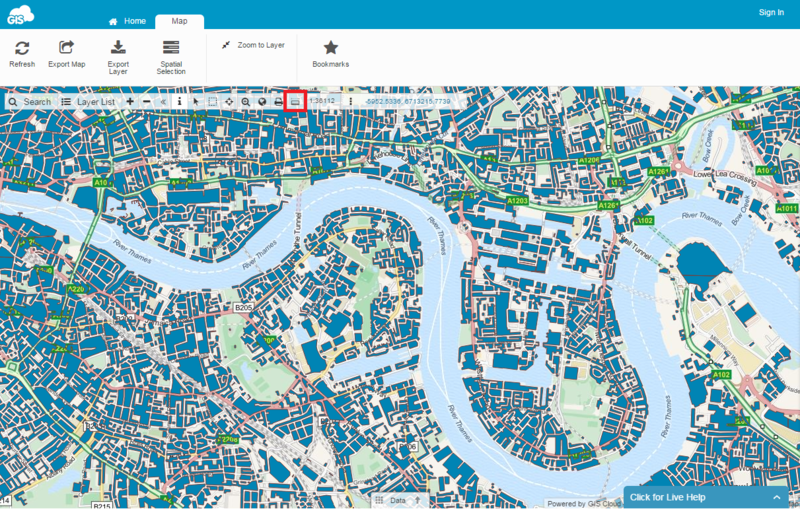 You can easily recalculate area by choosing a different measuring units. Result will be visible in the box.